It's the problem of our time: so many gadgets to charge, so few ports to charge them with. 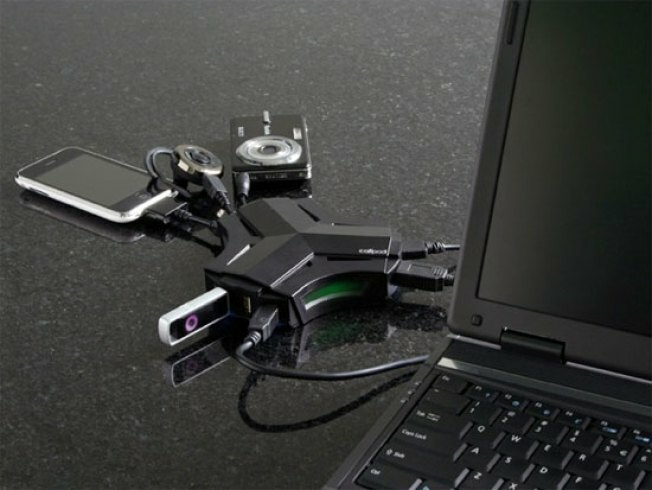 The new V2 Chargepod from Callpod helps solve that problem for you, juicing up everything from your cellphone to your laptop to your camera battery all through one plug. Unfortunately, a gadget this handy doesn't come cheap. They're charging $200 for this thing, plus $10 each for all the cable tips for specific devices, which seems pretty steep for a charger. But hey, if you really need something like this, it might be worth the cost.